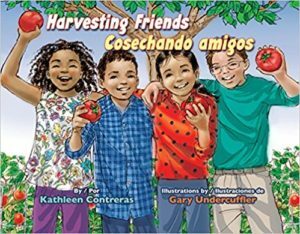 Including easy-to-make recipes, this bilingual picture book for children ages 4-8 will have them clamoring for a garden of their own to plant and harvest. Along the way, young readers and the adults in their lives too will learn that coming together as a community will enable them to harvest more than just vegetables. Previous post: Look, See the Bird!